Jeep Wrangler hardtops are a necessity in colder climates, where a soft top would allow cold wind into your Jeep. Smittybilt hardtops are a great replacement for a worn out soft top. Wwhen you want a hardtop, but don’t have the money for OEM look here. Smittybilt hardtops tout one of the thickest gel-coats on the market for extra strength. Road noise is kept to a minimum thanks to the mildew resistant headliner (this helps keep heat within the Jeep). The Smittybilt hardtop has original equipment style latches. You won’t need to modify your Wrangler to install any of these tops. 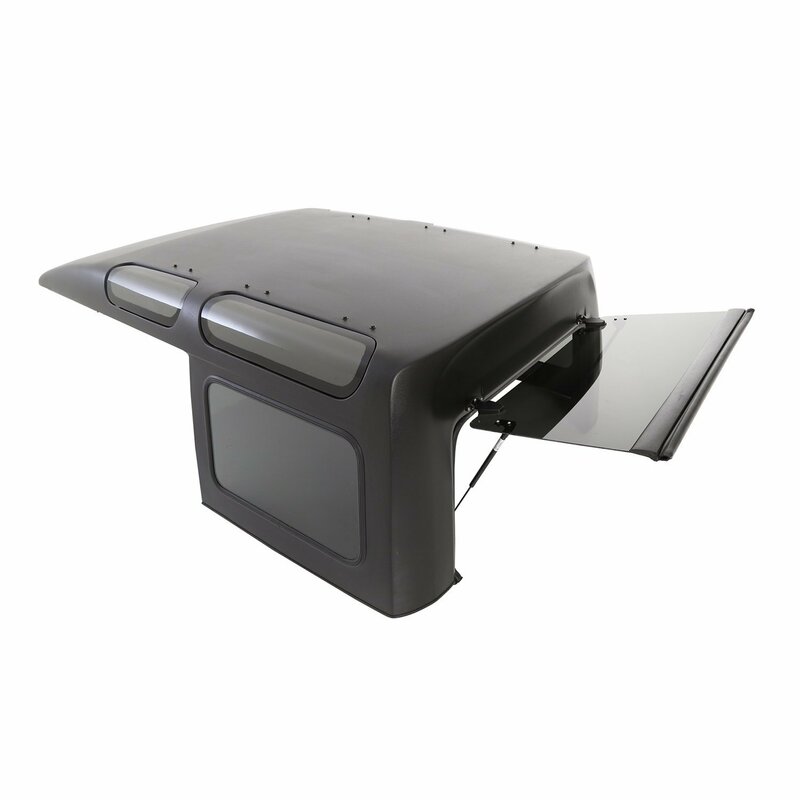 The tops even come with a standard set of hardtop hardware, so you won’t have to run to the hardware store. I love the look of the Safari top! The extra windows on the top have that cool Land Rover look, and do help provide more light, without sacrificing strength. Overall this line of tops are a great value, at about half the price of factory hardtops. 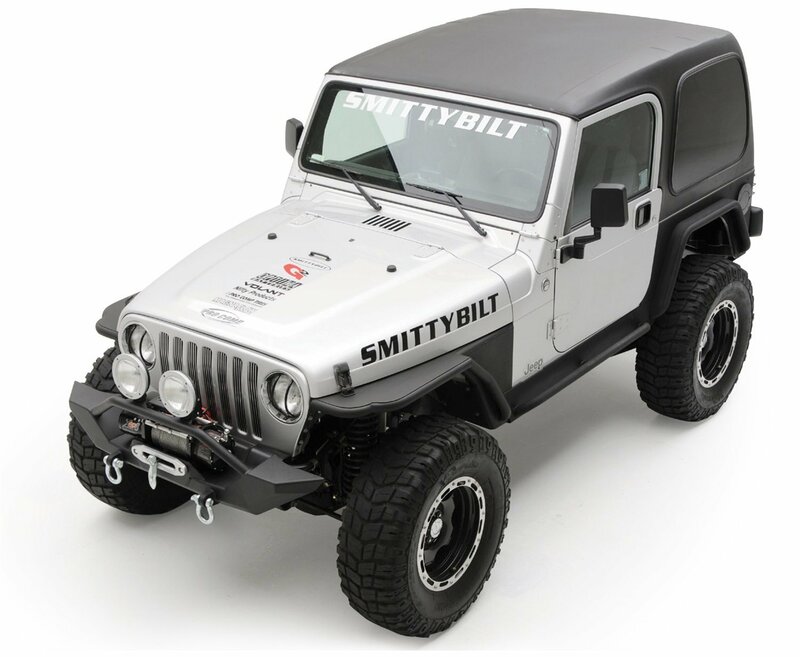 A typical Smittybilt hardtop weighs about 150 pounds. You’ll be able to install it with only two people (one person if you spring for the two part top). I was worried about the strength of the top, since they weigh less than factory, but was happy to find that they aren’t flimsy at all. My old CJ7 hardtop would wobble back and forth, and was a pain to install. The headliner does a great job at keeping road noise down – it is significantly more quiet than a soft top TJ. I only have two complaints about this line of hardtops, they don’t offer a rear wiper, and there are no rain gutters over the doors. The wipers I can get over, but Smittybilt should add rain gutters. Gutters would help divert rain away from your windows (in case you want to crack them open during a drizzle). If you do buy this hardtop (or any one for that matter), do yourself a favor, and get a set of thumb screws to mount it with. That way you won’t need any tools to take your Smittybilt hardtop off and on. 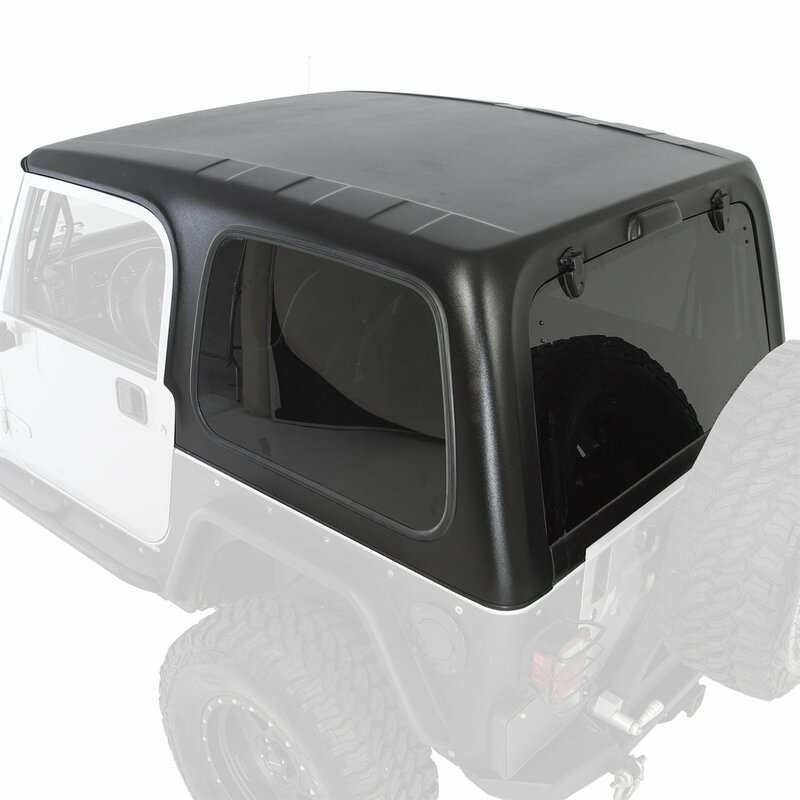 Overall these tops are a great value, and your best option when upgrading from a soft top.